The Raider-class corvette is the Empire's response to the need for a designated anti-fighter vessel. The Imperial Raider Expansion Pack brings this ship’s six, accurate dual heavy laser cannons to Star Wars: Armada, where its utility against snubfighters and the disruptive effects of its ion cannon emplacements, along with the efficiency of its localized command, make it a powerful addition to any Imperial fleet. 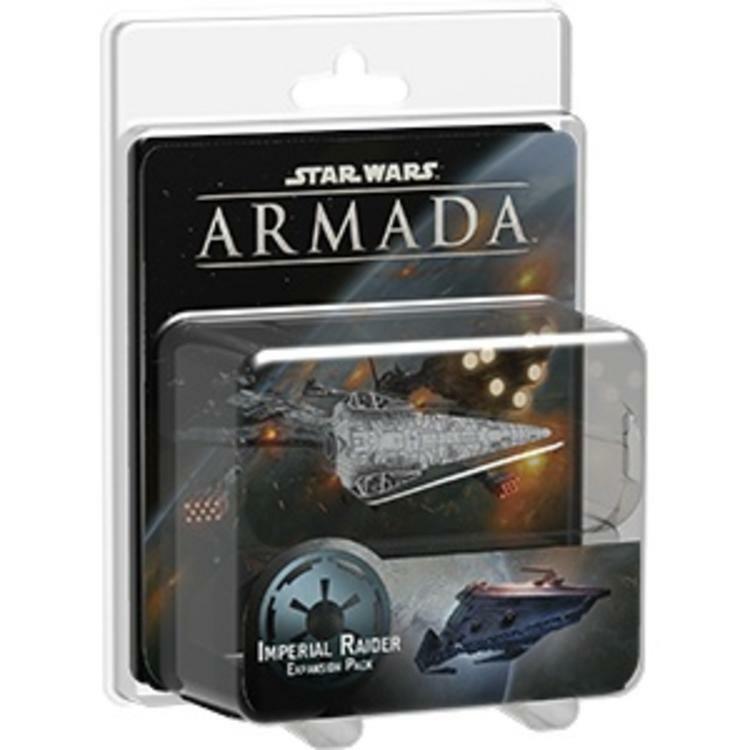 In addition to its pre-painted, small-base Raider miniature, this expansion introduces eight upgrade cards, a command dial, speed dial, and all requisite tokens.